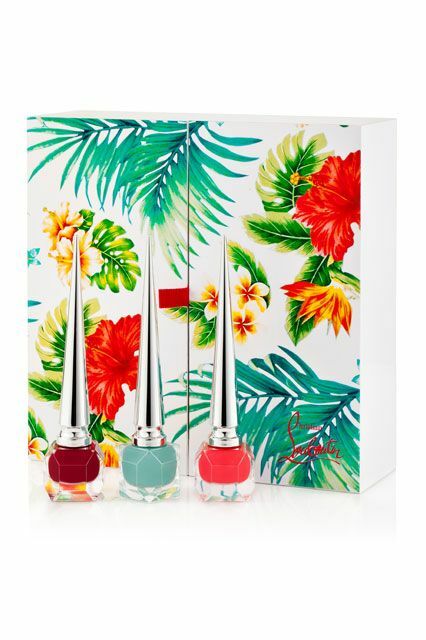 On the heels of his first nail polish collection, Christian Louboutin has created a new sampling of bright and punchy polishes that will have you pining for spring break and poolside parties. 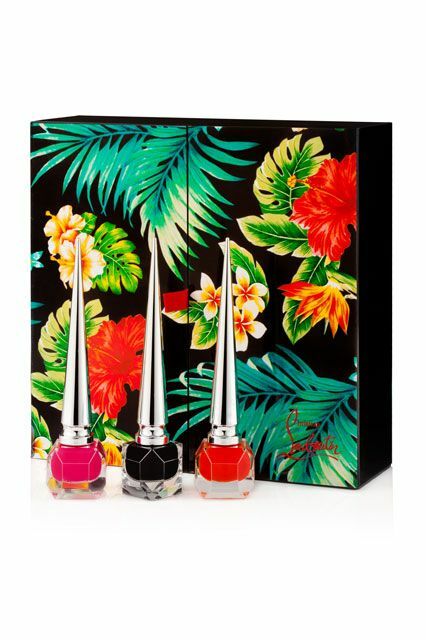 The two limited-edition lacquer sets feature three mini polishes each housed inside a beautiful case decorated with Louboutin’s signature Hawaii Kawaii print, a retro design inspired by the warmth, fantasy and spirit of 1950’s Hawaii. The first kit contains colors Very Privé, a deep wine hue; Batignolles, a sky blue color inspired by “the timeless beauty of Paris”; and Miss Loubi, a perfectly pretty coral that is reminiscent of the fun and flirty charm of the multi-color ankle boot from Louboutin’s Spring 2010 collection. The second kit is dark and mysterious, with Popi, a saturated orange-red; Bengali, hot pink; and Khol, a perfect black. Each set retails for $90 and is available at christinanlouboutin.com.